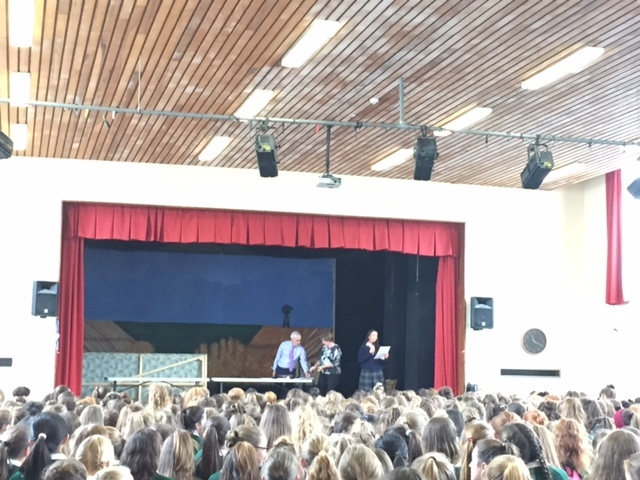 Well done to all involved in this mornings presentation ceremony. 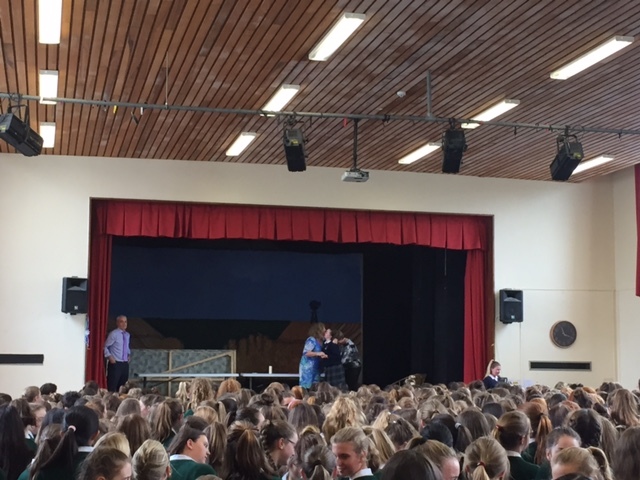 Our Head Girl, Eva Walsh, gave a wonderful welcoming speech. 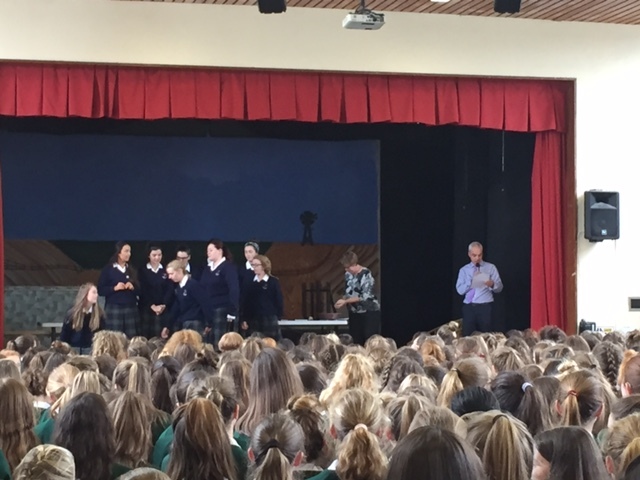 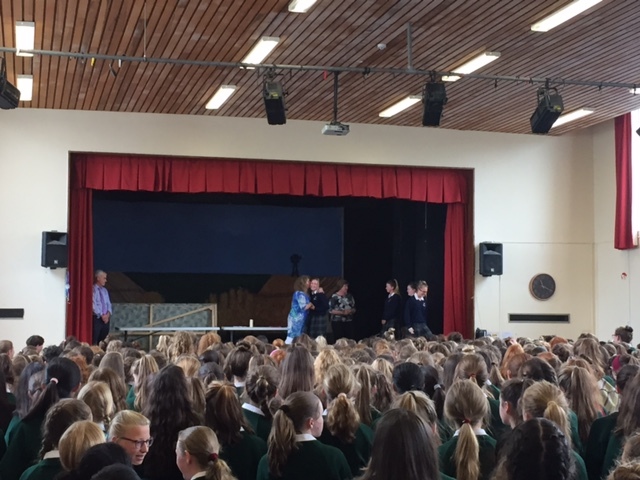 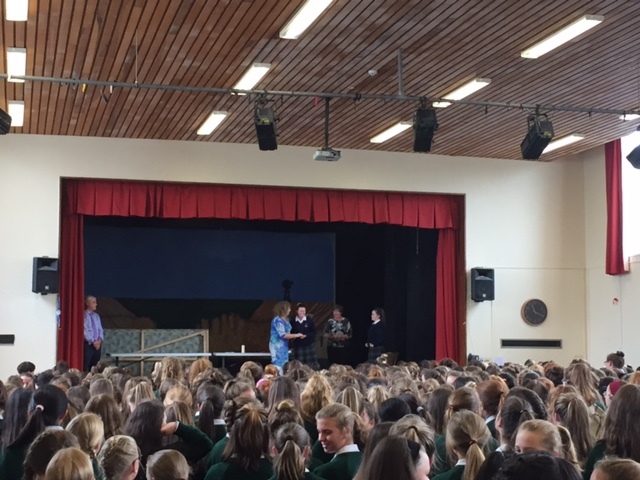 Ms O’Donoghue presented the medals to our sports captains and senior prefects. 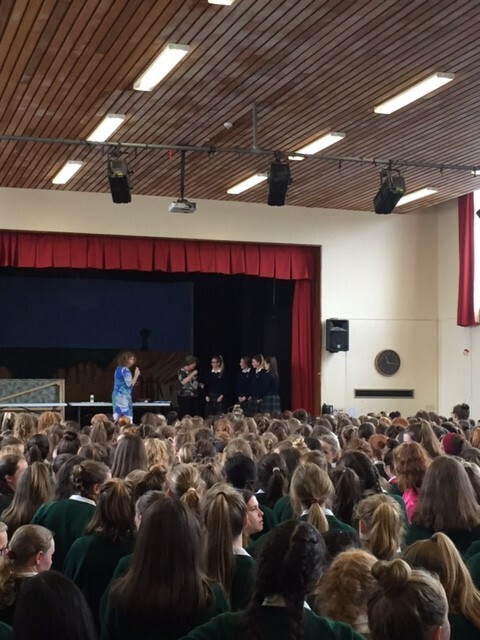 Our prayers and petitions are travelling with the five 6th year students who will go on this years Lourdes Pilgrimage with Ms. O’Reilly.